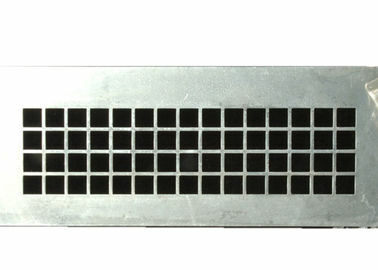 Square-hole perforated metal is very popular among people as round-hole perforated metal. They both have staggered and straight row holes patterns with a variety of gauges and materials. Its materials include carbon steel, stainless steel, galvanized steel and aluminum. Square-hole perforated metal is usually used for screen, protective fence, balcony, stairs, building facade and decorative equipment. Perforated kinetic facades are just like waves in the air when wind blows, giving you excellent visual experience. They are durable, anti-corrosion and have great decoration effect, so are widely used to decorate large buildings such as shopping malls, museums, galleries, exhibition halls, airport channels and office buildings. 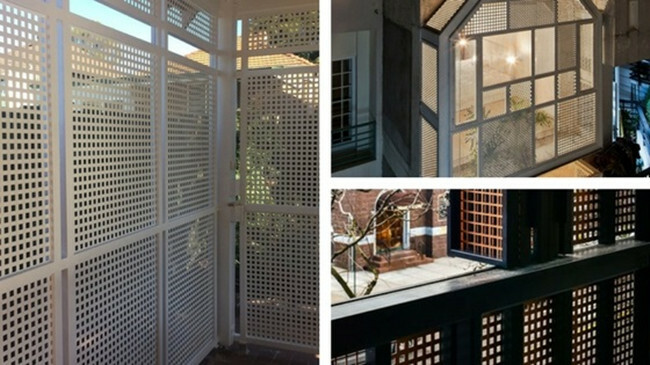 Besides, ventilation, shade and sound absorption are also significant functions of perforated kinetic facades. Materials: stainless steel, low carbon steel, aluminium or aluminium alloy, copper, brass, bronze. Hole patterns: round, square, oval, diamond, hexagonal, triangle, rectangular, fish-scale hole, flower shape. Hole arrangement: staggered or straight. Open area: 30%–60% or as your requirements. Surface treatment: galvanized, PVC coated, powder coated, anodized, paint, fluorocarbon spraying, polishing. Color: black, white, silver or customized. Regulate sun light and good weatherability. Wear resistant and high strength. Light weight and flexible sizes. Perforated kinetic facade can be used for office buildings, shopping malls, museums, galleries, starred hotels, libraries, exhibition halls and other large buildings. To provide shade, ventilation and reduce noise. What really sets WANNUO WIRE MESH apart from our competitors is our sincere commitment to providing the best possible service to every customer. We complete every project with remarkable speed — in fact, our turnaround times are among the fastest in our industry. Our dedicated team of engineers, salespeople and other professionals is always willing to do whatever it takes to provide the best result for our customers.